I don’t really like making listicles. It is one thing that has single-handedly destroyed the substance and depth of online content. However, I think the time has come to make this one. In recent times, I have noticed that the word “offbeat” is used very frivolously. There are “offbeat” lists on Himachal that include places that have been in the tourist radar since the age of Roerich and Chetwode. I understand that familiarity is also relative but still… no… Kasol, Malana, and Chitkul are NOT offbeat! So, I wanted to make a genuine top 10 unexplored list but too many names came up! That too after completely excluding the entire Parvati Valley, Spiti Valley, and anything in the 50 KM radius of Manali, Dharamshala and Shimla. It is possible that you can still find something interesting and obscure around these places but you will never be too far from a crowded tourist hub. For that reason, I have decided not to mention Lower Kinnaur (Kalpa-Peo-Sangla-Chitkul) and Spiti. They still remain a great destinations but you know that already, don’t you? The primary criteria I am using here is the lack tourists on ground and lack of chatter on the social media as per my observation. Some of these names will be a bit more familiar than the others but overall, they can offer you that much needed dose of desolation to genuine misanthropes. Most of these areas don’t have expensive resorts but HRTC buses connect them all. So, what I am doing is that I am listing out entire regions or circuits and not just solitary towns or villages (otherwise there will be too many names). You can easily spend a week exploring any of these regions and you can find secluded valleys, villages, cultures and treks in these regions. Some of these should also be ideal for quick weekend road trips from Delhi. Where else will you see patterns like these? Enough can’t be said about Pangi, but I have already said whatever I had to say about it in numerous posts about the Sach Pass, Killar, Hudan, and Sural. It is practically the last frontier yet to be broken by the Himachal tourism boom. In the olden days, it used to be a site for Kala Pani (exile) for criminals of Chamba Kingdom. Biker gangs and SUV enthusiasts travel there mainly to prove their mettle on what they call one of the “most dangerous roads” on earth. However, I think this is only one of Pangi’s charms. The real joy of Pangi lies in its frontier villages, and the inclined slopes that lead to them. I will soon make a detailed guide on the valley. How to Reach Pangi: Bus or shared cars from Keylong (130 Kms) or Chamba town (160 Kms) to Killar. Both routes will take the whole day. From Killar you get local buses to the villages and you can also opt for a long walk/hike like I did on many occasions. Stay in Pangi Valley: There are two hotels and one homestay in Killar. Inner villages have no private accommodations but there are a couple of Government rest houses in Hudan and Sural that need to be pre-booked from Chamba. Firstly don’t confuse Gada Gushaini with Gushaini in Tirthan. These are two different places. I hadn’t considered this route even till the beginning of this summer. But once I left Jibhi end entered that stretch, it took me by surprise. It is a part of Mandi district, and not far from very popular Jibhi-Jalori stretch. Yet, the roads were as dangerous as Pangi and finding ATMs and homestays was a challenge. But this is what keeps this region pristine and you can have a view of the culture of the seraj region in its rawest form in various ancient temples in this region. Eventually you can go out of this region through Janjehli, which is described in the next section. How to Reach Gada Gushaini and Chhatri: You can get buses from Jibhi or Banjar. Number of buses will not be very high so be careful and aks locals about the timings. Jibhi to Gadagushaini is around 10-11 KMs. Chattri is another 15 odd KMs from Gada Gushaini. Interestingly, it is of the last remaining areas that have still not been properly mapped by Google. So, if you check Google maps, you will get nothing but confusion. All you can do is to trust me and then trust those HRTC drivers. Where to Stay in Gada Gushaini: Gadagushani has a new budget homestay where I stayed, Bahu has a more luxury homestay as per my knowledge. There may be a couple of options in Chhatri and in fact the temple pries invited us to stay, so you are in safe hands. Janjehli and Karsog are no far from aforementioned places but these two have better connectivity and faiclities. Especially Janjehli is a more popular tourist spot with a lot of homestays. You can trek to the Shikari Devi temple from both these towns or you can start from one, do the trek, and move on to the other town. This area is very fertile and scenic. Apple orchards are common too and so are various ancient stone temples. Choose the summer or post-monsoon to trek for Shikari Devi as raisn make it difficult. However, Karsog in Monsoon is a heavenly sight. The trek to Kamru Nag is also in the same region but directions may be confusing. It is another nice day trek to an ancient temple and lake. How to Reach Janjehli or Karsog: You get buses to both places from Mandi (around 90-100 KMs). Karsog is also directly connected to Shimla (110 Kms). For Kamru Nag get a bus to Rohanda from Mandi. Where to Stay in Janjehli or Karsog: Janjehli is full of nice homestays in INR 300-500 range, that too set amidst apple orchards. At Karsog, back in 2013, there were a couple of not very sophisticated hotels. But newer things must have come up now. For Kamru Nag, you can get a basic room at Rohanda. Bharmour, which is a very small town with a disproportionate number of homestays, was the ancient capital of Chamba Kingdom. It is around 60 KMs from Chamba town and the starting point for the epic pilgrimage called Manimahesh Kailash Yatra and even more epic Kugti Pass Trek to Lahaul. Even if you don’t do the big treks, you can find enough local trails and detours around the region to keep yourself occupied. Unfortunately I reached Bharmour at the fag end of a very long summer and only managed to pay a visit to the Chaurasi Temple. I had lost the energy to explore much and I will have to return soon. Budget Hotels in Bharmour: There are many hotels and homestays in Bharmour in the 500-700 Range. Some of them even offer free Wi-Fi. There should be a FRH in Kugti Village too. Here is a good post by Travelshoebum on Bharmour-Hadsar-Kugti stretch, that too in the winter. Rohru is a pretty big town located on the banks of Pabbar River. However, I found it to be too crowded for such a remote location and also it was one of the least touristy places I had ever seen in Himachal. Hatkoti is a smaller place near Rohru with an ancient temple but the main attraction is the Chanshal Pass (3750 metres). If you cross the pass, you reach Dodra, and then Kwar, two of the remotest villages in the state. You get buses from Rohru although I could not undertake this epic trip this time due to various reasons. But I will do it soon. How to Reach Rohru: Bus from Shimla ISBT (110 Kms but takes ages due to bad roads). It is also connected to Uttarakhand through the Har ki Doon side. You can get buses going towards that side too and I did undertake this journey to Hanol along the Tons river and then walked 15 Kms to Mori for no particular reason. Stay in Rohru: It is a big town with many hotels catering to various budgets including a HPTDC one. While I have not done much in this region here is a good post on reaching Dodra-Kwar. One of the shortest yet best detours this year for me has been the one to Shangarh Village. And there is much more to do in Sainj. The reason why I am including this is because Sainj somehow gets overshadowed by its cousin Tirthan Valley, which is more touristy and more expensive. Sainj and Tirthan are the primary constituents of the Great Himalayan National Park, an UNESCO World Heritage Site. Sensuous meadows, tower temples, rarely visited treks, local cultures, everything can be experienced if you are willing to take that leap of faith. How to reach Sainj: Buses run from Aut Tunnel to Sainj and Neuli. Beyond that you may have to look for local cars or hike. Where to stay in Sainj: There are good homestays in Shangarh. Miyar offers you the best of both Himachal and Ladakh. It is a high altitude valley sandwiched between Zanskar and Pir Panjal ranges. The sheer bus ride through the fecund Pattan Valley and then the surreal Miyar Valley to Shukto, the last roadhead, is an exhilarating affair and the trek beyond it is the stuff that misanthropic dreams are made of. How to reach Miyar: You get direct buses from Keylong in the morning that passes through Trilokinath and Udaipur. Where to stay in Miyar: The homestay is located just at the point where the bus stops and turns back. Lahaul is not unknown, but it is surely underrated. People halt at Keylong to go to Ladakh. But Keylong deserves attention too. The ancient monasteries around Keylong deserve a lot of time apart from the sheer landscapes of the Bhaga Valley. There are other landmarks in places like Tandi (Guru Ghantal Gompa), Sissu, and Gondhla. The other important attraction remaining in Lahaul is the Neelkanth Mahadev, a high altitude lake that requires several days of trekking to reach. How to reach Lahaul: Just take a morning bus from Kullu or Manali to Keylong. Where to stay in Lahaul: Keylong if full of budget hotels. Many of them even offer free Wi-Fi. Now, Kinnaur is very popular and so is Spiti. But the small stretch in Upper Kinnaur, where the roads are the roughest and the lands are at their driest, remains barely explored. At this point, you leave behind the lush green areas and enter the rain-shadow zone that continues to Spiti and then Ladakh. I am talking about places like Lippa, Asrang, Charang, Chango and many more. Eventually this stretch leads to Nako, which is again pretty famous. But in between, many of these unknown villages have their hidden temples, monasteries, and even wildlife sanctuaries. You can of course undertake the epic Kinnaur-Kailash-Parikrama to cover some of these villages. This is one area I have earmarked for the next year. How to reach Upper Kinnaur: You will get buses from Reckong Peo bus stand to many of these inner villages, beyond that you will have to trek. Where to stay in Upper Kinnaur: While Nako is a touristy place full of homestays, other villages are not known to have much tourism infrastructure. So, you will have to be dependent on the goodness of the locals, but they are known to be good people. Hard to find detailed information on the places I am talking about. And here is a good post on Kinnaur Kailash Parikrama by Color Odyssey. Bairagarh is also the gateway to Sach Pass. Churah region is another enigmatic region that remains minimally touched. It is the area after Chamba but before reaching Sach Pass. It has places like Tissa (Bhanjraru), Bairagarh, Devi Kothi etc. I have crossed, and even stayed in Bairagarh many times en route to, or returning from Pangi via Sach Pass. But the real charm of Churah is in its high altitude glacial lakes such as Ghadasaru Mahadev and Mahakali lakes beyond these small villages. This takes a bit of trekking as well as clear weather to reach any of these. How to reach Churah: You will easily get buses from Chamba to most of these places. Where to stay in Churah: You should find basic homestays in Tissa (Bhanjraroo) and Bairagarh. I am not sure about other places. Further Reading: Here is a good post on Churah Tehsil (Not by me). Barot itself is not offbeat. It has grown quite popular of late and even backing 2016 it was packed with homestays. But what I am interested in is the area beyond Barot. This is the chota Bhangal region, followed by the mythical bara Bhangal. Bara Bhangal is one of toughest treks in I discovered that takes you to one of the remotest villages in India. Very few people even try it. Nevertheless, there are many other village homes and other Trek routes in the chota Bhangal region beyond Barot. How to reach Churah: You will easily get buses from Mandi or Jogindernagar to Barot, Lohardi, or Baragran. After that only option is to trek. Where to stay in Churah: Barot has many options, so has Lohardi and some nearby villages. Narkanda is famous in this region due to its proximity ot Shimla. However, to experience the apple country completely, you should go deeper to Kotkhai. The Kotkhai-Kotgarh apple belt has many secluded villages and valleys, all covered with apple orchards that turn red post-monsoon. The history of this region is also fascinating, as you can see from the epic Kotkhai Fort. How to reach Churah: Any Shimla to Rohru bus will pass through Kotkhai. Where to stay in Churah: Kotkhai has a few interesting homestays which are generally set amidst apple orchards as expected. This is an interesting post about Kotkhai Fort that should give you some idea about the history, culture, and visual allure of the region. Sirmaur is one district that eluded me for a long time. Finally, earlier this year, managed a not too satisfactory round through this district. I spent nights in Nahan and Haripurdhar. I also passed through Renukaji and I had passed through Paonta Sahib anyway because it is closer to Dehradun. I realized that this area has a long way to go before it catches up to rest of the state in terms of tourism. Nevertheless, this is what makes it offbeat. The most famous activity here is the Churdhar Trek, which can also be approached from Solan. I personally felt that Haripurdhar has a lot of potential in terms of views. How to reach Sirmaur: You will get buses to Nahan from Shimla, Solan, or Dehradun. Other places are connected with Nahan. Nohradhar (base for Churdhar Trek) is also connected with Solan. Where to stay in Sirmaur: Most major places like Nahan, Haripurdhar, Nohradhar, and Renukaji have hotels. But I struggled to find tourist-friendly budget homestays that thrive in other districts of HP. Himachal regulars must have heard of Pin Bhaba Trek. You must have crossed places like Chaura, Bhabanagar, Wangtu, etc while going to Kinnaur and Spiti. But I am sure very few have taken the detour from Wangtu to Kafnu. These densely forested areas are a part of Rupi Bhaba sanctuary. From Kafnu you can go for the aforementioned Pin Bhaba Trek to reach Pin Valley in Spiti. Apart from this somewhat popular trek, there are many trails inside that have rarely been explored by anyone. You can also trek from Chaura through the Rupi Bhaba Sanctuary. I have been eyeing this region for a long time but even I have failed to do justice to this area and can’t even produce a photograph as of now. I hope I can sort this out soon. How to reach Kafnu: There should be at least one direct bus from Shimla to Kafnu. Otherwise, get into any Peo-bround bus from Shimla/Rampur to Wangtu. Where to stay in Kafnu: There are some basic options in Kafnu. There are also some Forest Rest Houses (FRH) at various locations within the sanctuary such as Rupi and Salaring. After a lot of effort, I found one post with details for the Rupi-Bhaba trek from Chaura. So, this is it for now. I planned to list only 10 to start with but now it has become 14. There were others in my mind that I did not include due to lack of available details. I intend to explore them sooner or later. So, this list will keep growing. Brilliant post and like the stright forward tone at the start. Superb. Listicle it is not, by any angle. Brilliant post man. I am from Himachal and have been to most of the places but your post made me realize that I am yet to plan some of these places well. I visited some of the these places during childhood for family get-togethers, so didn’t look at those places from travel perspective. Good job in compiling this list and I am sharing it on my Himachal page. Thanks Jitaditya for a great listicle. Its been always pleasure to read you. Thanks for sharing and keep sharing. Hi VJ, Can you please share link to your Himachal Page ? This is brilliant sharing my friend. Happy that we have covered 5-6 places already and will check the others soon. Brilliant post. So many places to visit and I wish they remain hidden. Awesome pictures and brilliantly penned. I feel like planning NOW! Wow! This area is a hiker’s paradise, Jitaditya! Which one of these places is the best place for hiking? An ansolutely stunning post. I wish I could explore all these places. Thank you for sharing this. There seems to be a consensus of brilliant in the comments and I agree fully. I am torn on listicals. As a medium that promotes structure over content, they turn my stomach. In this post, you have a solid presentation but also a great pacing of relevant facts and observations. Bravo. I would love to explore the Himalayas, but wouldn’t want to get caught up in the normal Instagram churn. The Sainj Valley seems like a great way to have this kind of trip. This is such a phenomenal post. First of all I have never heard of Himachal Pradesh and now I would love to visit. The Churah Region caught my interest because of the mountains. Your description and picture just makes it a great place to explore and be adventurous. I personally don’t have an issue with listicles, as long as they are done well and informative. And your listicle is quite good! I haven’t heard of any of these places, which makes the list particularly refreshing. The landscape in these areas is so beautiful, and are great alternatives for people like me who like to explore regions that fly under the normal tourist radar. I so agree with you about listicles. I also agree that this list about the off-beat places in Himachal Pradesh was worth writing and worth reading. The Miyar valley and the Churah region will top my list. I can’t wait to explore India! I love unexplored places! Though I do agree that the word offbeat has becom somewhat of a buzzword recently. People seem to use it because they think it will improve their tourism, so I appreciate a litst of genuinely unexplored places. Sach Pass and Pangi Valley sound beautiful, and adventurous with those roads! And the Miyar Valley is another which would be on my list. The trek to Shukto sounds like it’s a must, and I love that you can organize a homestay for a truly authentic experience. Thanks for putting together this list! I never heard of these places before but I have not explored much of India (yet) . . The Himalayas are still a pending subject for me. Hopefully I will go to Ladakh soon and I would not mind adding a couple of your suggestions on the way to it. I especially loved Sainj Valley picture /description . . These are actually offbeat tourist places of Himachal and we are going to love them. You have compiled them so well with all the required info. 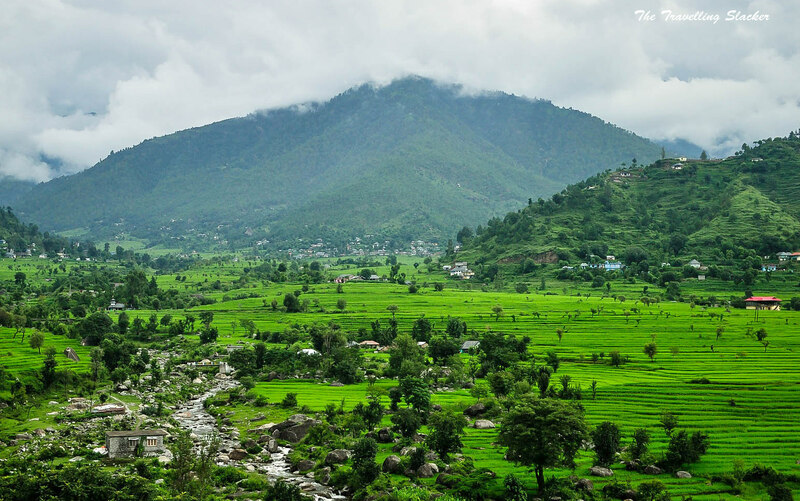 The chamba district is on our list for the next Himachal trip. We have just been till Karsog but nowhere beyond it. The places beyond it looks really great and Sainj Valley has won my heart. This is one listicle that was probably long awaited. I only hope that these genuinely off beat places remain that way and people do not make a beeline to them rendering them otherwise 🙂 All of these places are charming and their exclusivity is what adds more allure to their charm. I am particularly fascinated by Gada Gushaini and Chhatri as you mention that even Google has not reached there. I can’t get over how beautiful all of your photos are! I don’t mind listicles. But yours have a bit more info and it’s not like any that I’ve read before, so thank you for contributing this! 🙂 I haven’t heard of most of these places and I’d like to visit all of them! Hey..can I go to these places with my family? Is the accomodation facility really good there? These are really so much amazing places and I have never heard about such beautiful places before. Can you please suggest me which one is the most convenient place for the solo trip from all these beautiful locations? Damn good post. Loved every bit of it. However, in Sirmaur, the only solo travel worthy place (which is truly offbeat) is not around the Renuka Lake side of things.